Over the years Death have been hailed as one of the greats, whether classed as death metal, technical death metal or just plain metal, they were innovative, creative and massively influential to the genre. 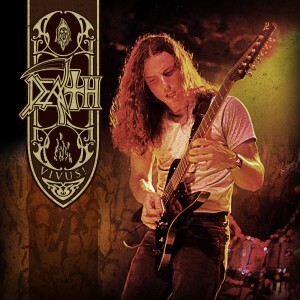 Vocalist, guitarist and band founder Chuck Schuldiner is a legend to many who is considered a figurehead for the genre and undoubtedly his loss had a massive effect on the scene. 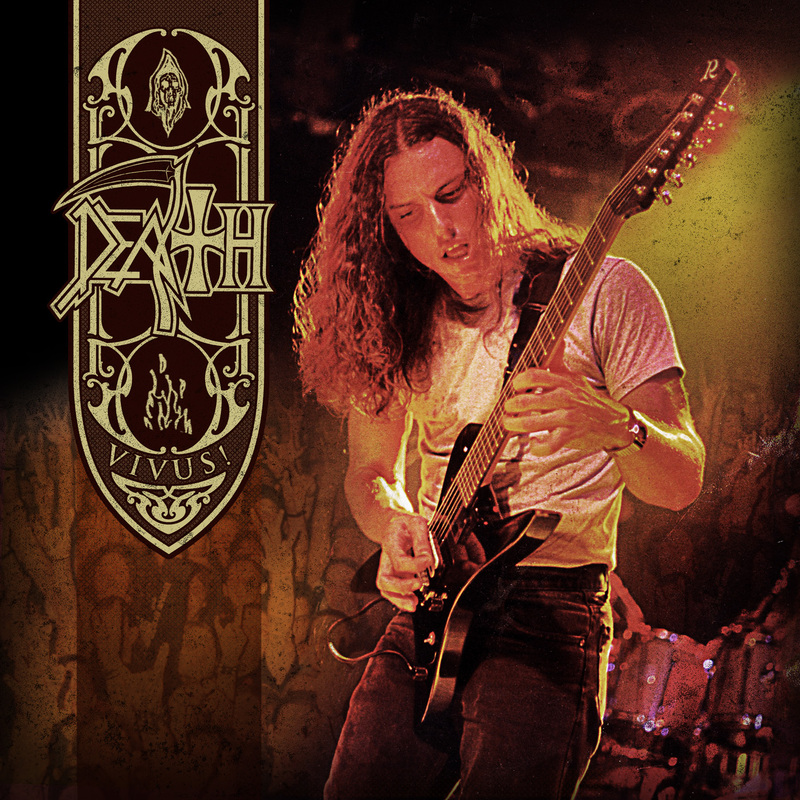 The Death legacy lives on however, and most recently ‘Vivus!’ has been released, containing two live recordings dredged up from 1998. The recordings feature the line-up of: Chuck Schuldiner, Richard Christy on drums, Scott Clendenin on bass and Shannon Hamm on guitar. Even though the two disks are basically previous live releases (‘Live In L.A. (Death & Raw)’ and ‘Live In Eindhoven’), if you don’t own these CDs, then they make the perfect addition to a collection. Disk one, a live set from a Whisky A Go Go show in Los Angeles. The sound quality on this recording is pretty fantastic, and opening track ‘The Philosopher’ sounds crisp. Schuldiner’s trademark vocals ring free and remind us just why he is loved. Given their style, Death’s vocals set them apart from so many other bands, it wasn’t inaudible grunts, it had rhythm, it had pace and online slots it had clarity. ‘Scavenger of Human Sorrow’ displays the intensity and skill that the band had behind them at such a peak in their career, it almost makes it upsetting to hear how fresh they were considering the circumstances that followed. Christy’s drums on ‘Empty Words’ are mind blowing, complex but constant and thundering. Creativity powers through tracks such as ‘Flesh and the Power It Holds’, ‘Together As One’ and Scream Bloody Gore’s ‘Zombie Ritual,’ a song which manages to sound even better live. A great recording of a band at their prime, cataloguing perfectly why Death are so There’s been another delay for pop star justin bieber movies on Florida charges of driving under the influence and resisting arrest. influential. A festival casino online set is recorded from Dynamo Open Air and this makes up disk two of ‘Vivus!’, unfortunately the quality drops a little in comparison to disk one but of course it is still a great listen. ‘Trapped In A Corner’ is crushing, clean but precise. Having the crowd noise within these tracks adds such an element of interaction, a new depth. You often find that a band who perform well indoors, struggle within a festival setting, but this recording from Dynamo Open Air just proves once more how talented Death were. ‘Suicide Machine’ providing mayhem to bang your head to and ‘Flattening Of Emotions’ blows you away in regards to it’s technicality. ‘Pull The Plug’ begins crushingly, Death fire through this track as though their lives depended upon it. Whilst the songs forming disk two may contain most of those from the first disk, it still shows their live consistency and skill. Hearing Chuck’s banter between songs on both disks makes you realise how happy he was when performing and when you take into account how talented he was, it makes these listens a little difficult. However, this CD is essential for any Death fan, and it is pretty damn incredible to listen to. If someone had never heard Death before and wanted to be blown away by just how unique a metal band can be, I think I would be tempted to guide them towards these recordings, simply beautiful…in the most metal way possible.